Comfort foods during the winter involve gravies for sure. They are hearty dishes or casseroles that are designed to be filling, provide plenty of leftovers, and warm you up on a cold night. 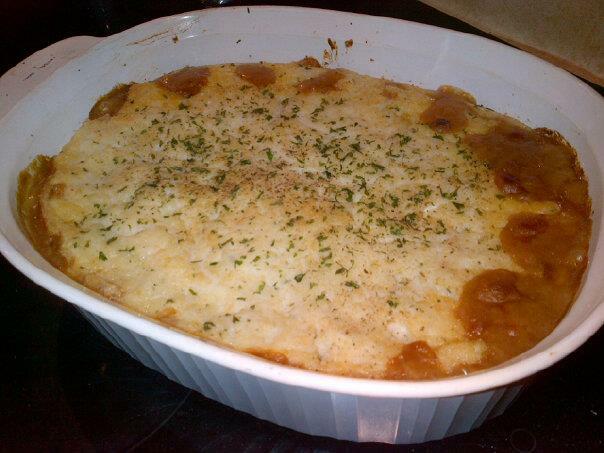 Shepard's Pie is definitely the champion of classic casseroles and wins any award in the hearty department. With lots of veggies, luscious gravy, and lots of vegan meat...you will wonder if it will be okay to have seconds...or thirds! Guaranteed to warm you up, serve along side a nice salad and bread or by itself and you are all set for a cozy night in with a plate of love. Enjoy! Coat a wide pan with olive oil and bring to a medium-high heat. Add the onions, garlic, celery, and carrots to the pan. Season the mixture with salt, pepper, paprika, and thyme, stirring frequently until the vegetables are translucent and aromatic, about 8 minutes. Add the vegan ground beef and mushrooms to the back to the pan and stir to combine. Add the vegan stocks to cover the mixture. Taste and season with salt, if needed. Toss in the bay leaves and bring the stock to a boil and reduce to a simmer. Partially cover and simmer for 15 to 20 minutes, or until the veggies are completely tender. Place the potatoes in a medium saucepan and cover by 1-inch with tap water. Season the water liberally with salt and bring the water to a boil. Boil the potatoes until they are fork tender, about 15 minutes. Drain the water from the potatoes and pass them while they are still hot through a food mill or smash with a masher until lump free. Beat the vegan butter, cream cheese (or sour cream), 1 Tbsp Nutritional Yeast, and vegan cheese into the pureed potatoes, add parsley and combine. Taste and season with salt, if needed. The potatoes should be creamy and very flavorful. In a small frying pan or saucepan, add 4 to 5 Tbsps vegan butter and melt over medium/high heat. Once melted and add flour and whisk to combine. Cook until light brown and the flour is cooked off. Remove from heat and its ready to use in the pie mixture. Remove the lid from the pie mixture and add the roux. Simmer for 5 to 10 minutes more to allow the stock level to reduce and the mixture to thicken into a gravy. Taste and adjust the seasoning, if needed. 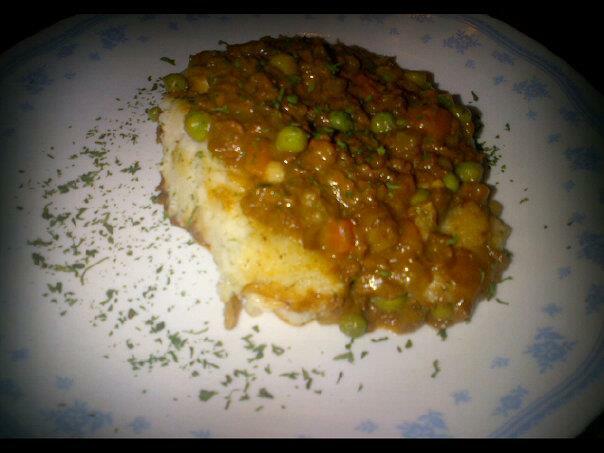 When done, the pie mixture should be thick and stew-like. Remove the bay leaves and discard. Transfer the pie mixture to a wide, flat baking dish or casserole dish. Add your peas on top of the pie mixture and evenly spread. 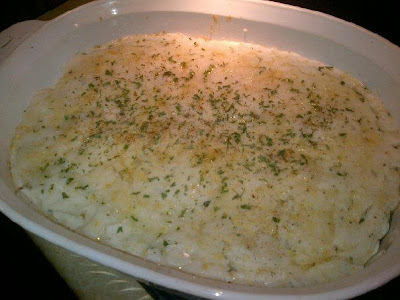 Next, spread the mashed potatoes over the pie mixture in an even layer, sprinkle the top with parsley, nutritional yeast, and a little oil to help brown. Cook for 10 to 15 minutes until the gravy is bubbly around the edges. Once bubbly, switch oven to broil and broil until the potatoes are golden brown on top. Serve with a salad and be prepared for leftovers. Enjoy!